A BEAUTIFUL LEMON LEAF Wreath! 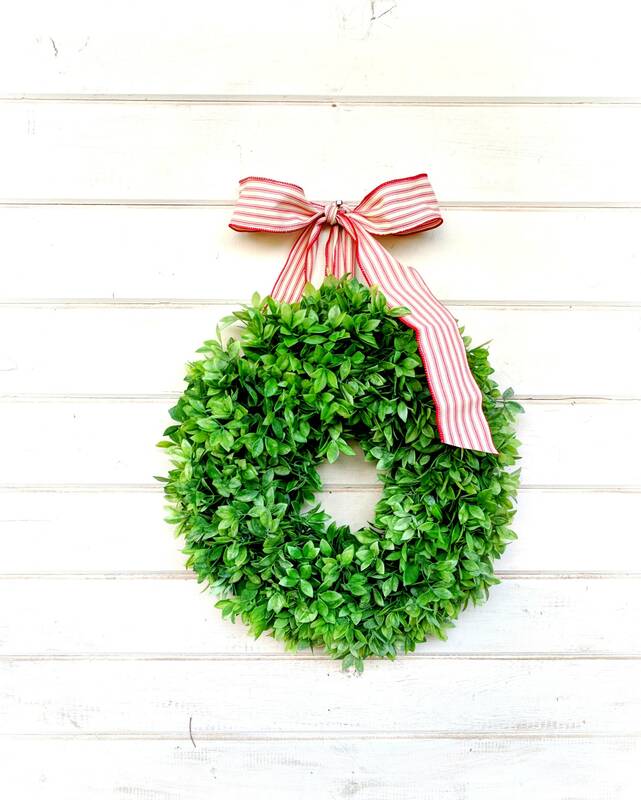 This simplistic wreath will welcome everyone to your home all year long!!! 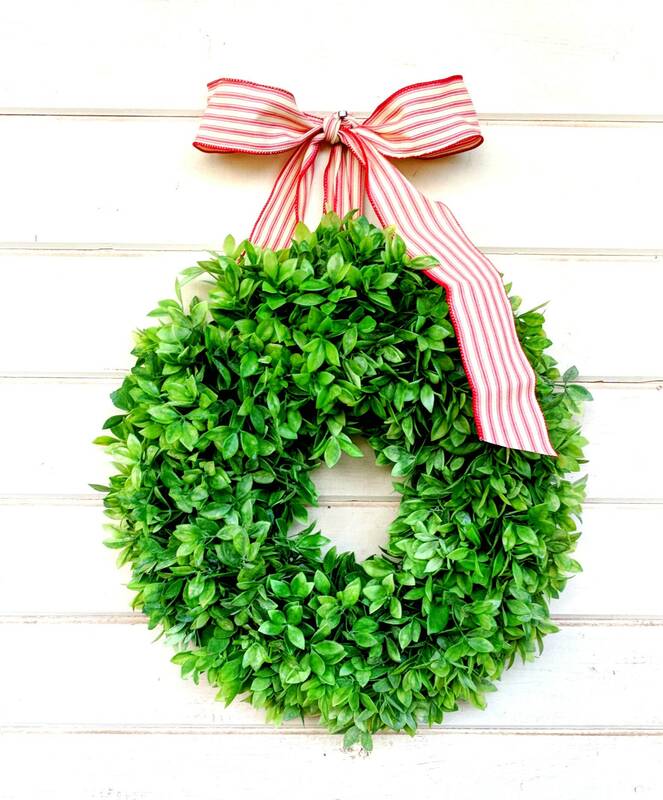 This Artificial Lemon Leaf Wreath is made on a Grapevine Base covered with Durable Plastic Faux Garland.....Give it a personal touch and add some floral or a ribbon to fit your Home Décor or the Holiday Season!! 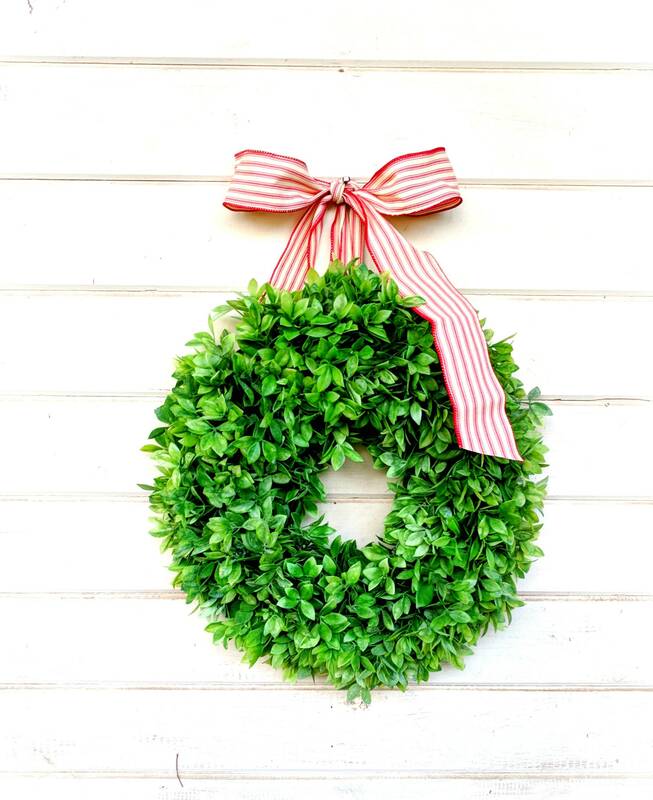 ATTENTION:Wreaths placed outdoors may weather or deteriorate over time from exposure to elements. It is suggested to hang your wreath under a covered porch away from moisture and direct sun to extend the life of your WildRidge Wreath.